In the previous part of this article, we have seen how the Catholic Christian missionaries who came to Japan after Saint Francis Xavier tirelessly gave their very best to propagate the gospel in the Land of the Rising Sun. Indeed, in the subsequent few decades after Father Xavier’s death, many more missionaries came thronging into Japan in response to the great missionary’s call for more workers of Christ to be sent there. As a result, the number of Japanese Christians grew very rapidly in numbers, numerous churches and seminaries were established in various parts of the country, and Christian communities could be found in various provinces throughout Kyushu and central Japan. Christianity even made remarkable inroads in Japan’s imperial capital of Kyoto and its surrounding vicinities. Christianity not only gained commendable success amongst the commoners, but also amongst the nobility, scholars, warriors and ruling classes. So, to what extent was Christianity well-accepted among the Japanese? We shall discuss this matter further in this section. When Christianity first arrived in the Land of the Rising Sun, its acceptance among the Japanese seemed like a distant dream, owing to factors such as language barriers and cultural misunderstandings on the part of Father Xavier and his companions. 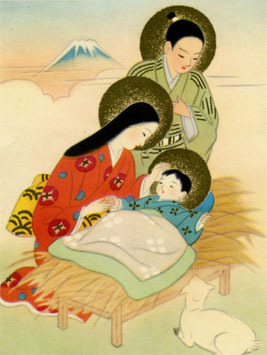 In fact, many of the first few missionaries who arrived in Japan perceived Japanese as “a language that was almost impossible for any European to master.” There were also terminological problems that Father Xavier had to face in spreading the gospel, as the Japanese language at that time offered very few suitable words to describe biblical terms and concepts. Despite these difficulties, Father Xavier saw initial success in the form of the 150 new Japanese Christians whom he baptized by August 1550 in the city of Kagoshima. 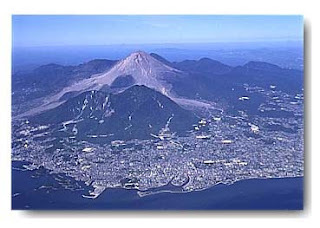 Approximately another 100 were added to this number from the port-city of Hirado in the same year. His joy increased with the greater success of baptizing another 500 people into the Christian faith whilst in the city of Yamaguchi. 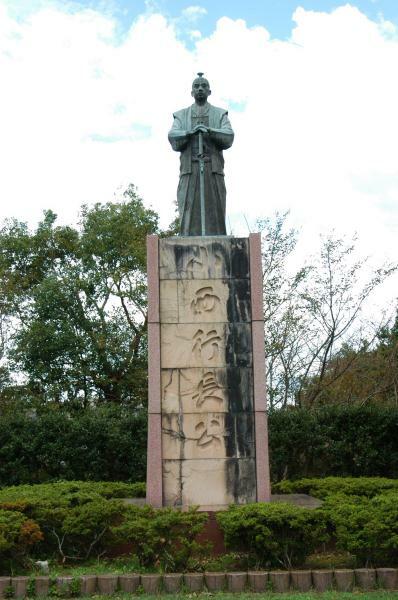 Even after his departure from Japan and his subsequent death on Shangchuan Island, China in 1552, his companions, such as Father Cosme de Torres, Brother Juan Fernandez and a few Japanese Christians, continued his legacy of propagating the gospel in the land. Soon after, many Jesuit missionaries went to Japan and sacrificed much time, energy and even their lives for the expansion of Christianity in the country. Indeed, in the first decade after Father Xavier’s arrival in Japan in 1549, approximately 6000 Japanese were baptized into the Christian faith and 9 churches were constructed throughout Japan. These numbers increased to 30,000 and 40 respectively by 1569. By 1580, it was estimated that Christianity in Japan had about 100,000 adherents from all walks of life, ranging from the poor and needy commoners to the influential warlords and nobles. These include about 15,000 from the imperial capital of Kyoto and its surrounding domains (central Japan), and 30,000 from the almost entirely Christian port-city of Nagasaki in Kyushu. For the first few years after the introduction of Catholic Christianity into Japan, Christianity was frequently perceived as a “religion of the poor and needy”, since many of the first Japanese Christians hailed from such humble backgrounds. During this time, Christianity was only popular among the commoners and did not gain much reception among the ruling classes, although various daimyos did grant the Jesuit missionaries permission to spread the gospel freely in their domains. Nonetheless, in the later decades after Father Xavier’s arrival, Christianity gradually gained more and more acceptance among the nobility, scholars, warriors and ruling classes, thus effectively shading its image of merely being a “religion of the poor and needy.” In many cases, when a daimyo converted and accepted baptism, rapid progress of Christianity would ensue in his domain. 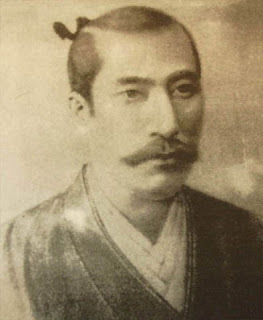 Amakusa Shigehisa (天草鎮尚), the daimyo of Amakusa, is a fine example, whereby after his baptism in 1571, thousands of people living in his domain were also baptised. 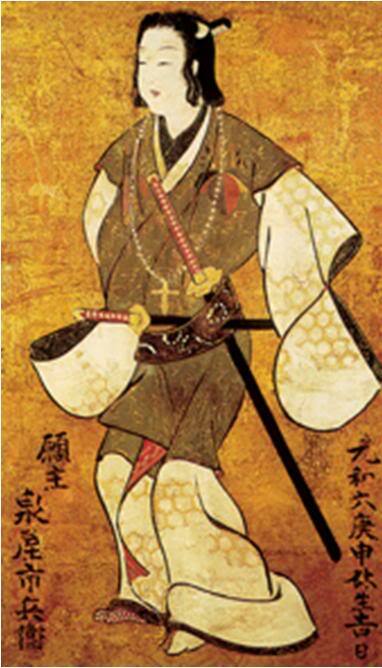 Nonetheless, perhaps no other Christian daimyo has gained more prominence in Japanese Christian history than Otomo Sorin, Omura Sumitada and Arima Harunobu, three highly reputable Christian daimyos from Kyushu whom I’ve mentioned before this. Omura Sumitada, the daimyo of the Omura Domain, was the first among the three to receive baptism, having been baptized in 1563 along with many of his subordinates. When he had firmly established his control over his entire domain, he greatly encouraged and supported missionary activities in his domain. In fact, by 1577, it was said that almost the entire population of 35,000 people living within his domain became Christians. 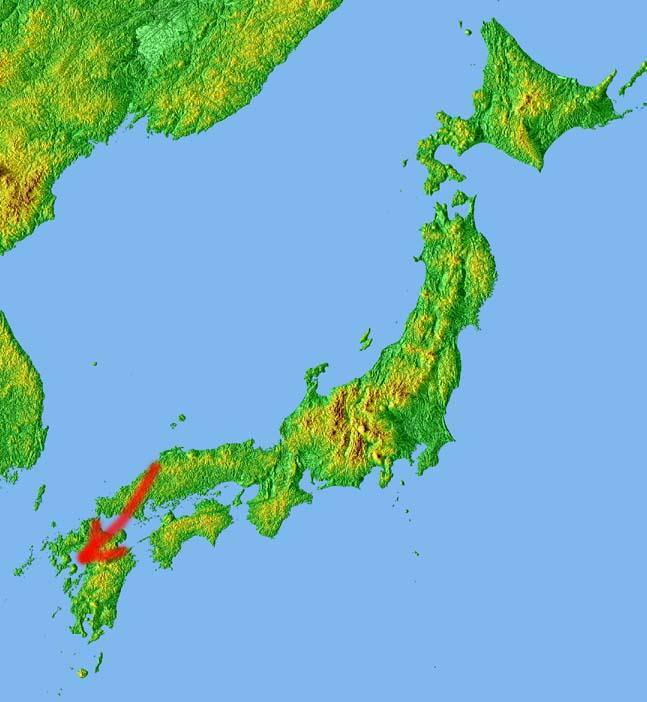 The Omura Domain also functioned as one of the main centres for the propagation of Christianity in Kyushu until 1606, when Sumitada’s successor, Omura Yoshiaki (大村喜前) (1568 – 1615), underwent a change in heart and subsequently made efforts to purge Christianity from his domain. 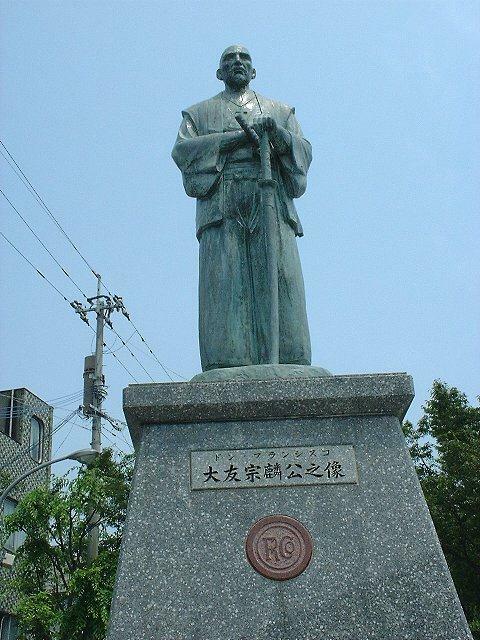 Although being the first daimyo among the three to encounter a Jesuit missionary personally, Otomo Sorin, the daimyo of Bungo Province, was not the first to be baptized into the Christian faith. Sorin met Father Xavier in 1551, but he did not embrace Christianity until 27 years later, in 1578. Nonetheless, throughout the years after meeting Father Xavier, he was very supportive of the work of Christian missionaries in propagating the gospel within his domain. He provided much land and financial support for the missionaries to carry out their activities. Sorin was also respected by the Christian community in Bungo as being a great protector and benefactor of their religion even before his conversion. With continual support from Sorin himself, Christianity grew rapidly within his domain, whereby it was reported that there were 2000 adult baptisms in 1584, 12,000 in 1585 and 6150 in 1586. In fact, Bungo became the other main centre for the propagation of Christianity in Kyushu alongside the Omura Domain, in which Father Valignano had established a Jesuit college in Funai, Bungo for the purpose of training Japanese Christians to take up priestly positions in the Church. The last among the three to embrace the Christian faith was Arima Harunobu, the daimyo of the Shimabara Domain (島原藩, Shimabara-han). Despite the fact that he spent his initial years in power persecuting Christians in his domain, he later embraced Christianity and was baptized in 1580. This consequently brought about large numbers of people into the Christian faith, such that by 1582, there were as many as 20,000 Christians within the Shimabara Domain. After his baptism, Harunobu provided much support and land for the Jesuit missionaries to carry out their activities. In fact, with some land and support offered by Harunobu, Father Valignano managed to establish the first ever seminary in Japan for the purpose of instructing Japanese Christians on their way to priesthood. 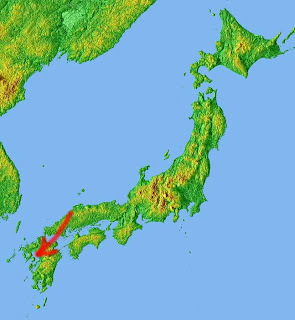 Harunobu’s domain of Shimabara became a refuge for Japanese Christians who were fleeing from constant persecutions under Toyotomi Hideyoshi and the Tokugawa Shogunate. This was especially so after Omura Yoshiaki began purging Christianity from his domain and thus rendered the Omura Domain unwelcome for Christians anymore. In fact, Harunobu’s domain became one of the last regions to retain a sizeable Christian population after the Tokugawa Shogunate began its ruthless extermination of Christianity in the land. Christians in the domain remained steadfast and fought the persecution of the Tokugawa Shogunate till the very end, consequently giving rise to the Shimabara Rebellion, which I’ll be covering in the last part of this article. The Tensho Embassy left Nagasaki in February 1582, being accompanied by Father Valignano himself and Father Diego de Mesquita as interpreter. Upon reaching Goa, however, Father Valignano was assigned with new responsibilities that required him to stay back there, thus Father Joao Rodriguez took his place instead to accompany the embassy to Europe. The embassy arrived in Lisbon, Portugal in August 1584 and subsequently made its way to Rome and many other cities throughout Spain, Italy and Portugal. Its arrival in Europe was celebrated with much splendour and warmth wherever its delegates went. The delegates of the embassy were granted audiences with Francesco I de’ Medici (1541 – 1587), the Grand Duke of Tuscany, King Philip II (1527 – 1598) of Spain, Pope Gregory XIII (1502 – 1585) and his successor Pope Sixtus V (1520 – 1590). After their return to Japan in July 1590, the four young delegates were ordained as the first ever Japanese Jesuits. Besides daimyos from Kyushu, there were also daimyos, scholars and members of the nobility from central Japan who were baptized into the Christian faith and contributed much to the propagation of the gospel within their spheres of influence. In the few decades before the Tokugawa Shogunate’s ban of Christianity in 1614, Christianity enjoyed a significant presence not only in the imperial capital of Kyoto, but also in surrounding cities such as Sakai, Osaka, Nara and Takayama. As mentioned before, scholars such as Kiyohara Ekata and Yuki Tadamasa, as well as daimyos such as Takayama Tomoteru, Takayama Ukon, Konishi Yukinaga and Kuroda Yoshitaka also accepted the Christian faith. This was followed by active spread of the gospel in their respective domains. Yukinaga’s domain in Higo Province (肥後国, Higo Kuni), for example, saw 30,000 people being baptized into the faith in the year 1599 itself. Besides, Christianity enjoyed much support and protection from Oda Nobunaga, the first of Japan’s three greatest daimyos involved in the reunification of the nation. Indeed, under Nobunaga, Christianity expanded rapidly in central Japan, even up to the extent that a seminary could be successfully established in Nobunaga’s personal city of Azuchi. The great daimyo not only provided much financial support and encouragement for the spread of the gospel, but also protection for the Jesuit missionaries and Christian communities from their adversaries. After Nobunaga’s sudden death in 1582, Christianity lost its main patron in Japan. In the hard times that were about to befall Christianity in the following years, Konishi Yukinaga subsequently took over the role of protecting and supporting the Jesuits and Christians in Japan as much as he could. Nonetheless, his untimely death in 1600 also meant another loss for Christianity in Japan. His role, however, was succeeded by Kuroda Yoshitaka, who did all he could to safeguard the Jesuits and Japanese Christians before his death in 1604. Even after persecutions against Christians began in Kyushu and central Japan, Christianity continued to flourish in the regions of northern Japan for a few years. Receiving support and protection from Date Masamune, the fearsome one-eyed daimyo of Oshu and Sendai in northern Japan, Christianity thrived for several years even after the official banning of Christianity in 1614. In fact, another notable point in Japanese Christian history is the Keicho Embassy (慶長使節, Keichō Shisetsu). Organized and sponsored by Masamune, the Keicho Embassy bore two purposes: firstly, to meet the Pope in Rome and strengthen ties between the Catholic Church and the Church in Japan; and secondly, to discuss matters concerning trade with the Spanish monarch in Madrid. The embassy thus left Ishinomaki (石巻) in 1613, being led by one of Masamune’s subordinates, Hasekura Rokuemon Tsunenaga (支倉六右衛門常長) (1571 – 1622) and accompanied by Father Luis Sotelo. Having arrived in Spain in 1614, the embassy then made its way to Madrid and Rome, amongst others. Delegates of the embassy were granted audiences with King Philip III (1578 – 1621) of Spain in Madrid and Pope Paul V (1552 – 1621) in Rome, and it was in Madrid where Hasekura received baptism. The Keicho Embassy returned to Japan in 1620, when the status of Christianity in Japan had greatly deteriorated after the ban on Christianity in 1614. To make matters worse, Masamune had a change in heart shortly after Hasekura’s return, in which the daimyo started persecution campaigns against Christians in his domain, in accordance with the Tokugawa Shogunate’s policies. Nevertheless, Hasekura himself remained faithful and fervent in his newfound faith and actively did all he could to spread the gospel within his household and among his relatives and other members of the nobility. Hasekura himself died of an illness, but many members of his household remained faithful Christians and were finally martyred under torture. Indeed, in just half a century after Father Xavier’s arrival in Japan, Christianity had made numerous miraculous inroads in many parts of the country. By 1600, Christianity seemed to be bound for an absolutely bright future, what with as many as 300,000 people professing the faith throughout the nation. Despite incessant persecutions carried out by the Tokugawa Shogunate after 1614, Christians miraculously increased in numbers even up to the 1630s, when the religion could boast as many as 750,000 believers, representing an estimate of 10% of Japan’s entire population at that time. It was also possible to find Christians and churches in almost every province in Japan by then. Nonetheless, despite all these whooping numbers that historical sources have presented, Christianity was bound for decline and gradually near-extinction in subsequent years, when the Tokugawa Shogunate eventually shut Japan from the outside world with its isolationist policies and continued to exterminate the influence of the gospel with all its might. With that, let us proceed to the last part of this article.